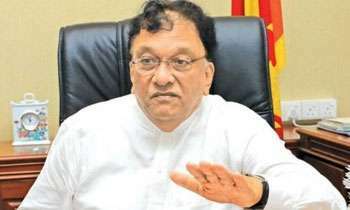 Next year's Budget will be presented in Parliament on November 8, House Leader Lakshman Kiriella said yesterday. He said the party leaders at their meeting decided to hold the budget debate for a month ending on December 8. Hope the budget will speak to the problems of general people.. loan rates are absolutely ridiculous.. should be single digit %. Solves a lot of problems rather than making bank guys richer..
Well, if the collation government can pass the budget in the 3rd reading with 165-55 votes, then it will indicate how stable the government!!!?? Yeah, Now that's the challenge!!? ?